The World Sudoku Championship (WSC) 2017 is happening in India Bangalore. 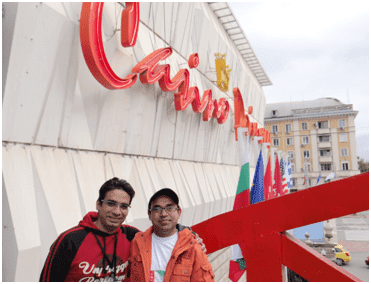 Lets look at one of the recent World Sudoku Championship in 2015 in Sofia. Thanks to Rajesh for providing me a platform to share my WSC and WPC experience from Sofia, held in October 2015. I am looking back at my experience as well as India's performance from my point of view. The Indian Sudoku Championship and Times Sudoku Championships were completed by August 2015 and, after due discussions, twelve of us confirmed the travel to Bulgaria for the World Sudoku Championships. To my knowledge, this would have been the largest ever Indian representation at any World Sudoku and Puzzle Championships. In the end, eleven of us traveled and it was still the largest contingent for India at that time. Rishi, Prasanna and Amit reached a day earlier as Rishi and Prasanna had qualified for the Sudoku GP playoffs. They all reached Bulgaria as per the plan but Rishi’s baggage decided to wait in Paris a little longer. So Rishi had to manage with the set of clothes he had and other practical difficulties for a couple of days. He found company in a few other participants who had lost luggage too. Later, it was to be found that Jaipal and Rajesh did not want to be left behind. They also followed Rishi as their luggage also started from India but waited in some part of the world before reaching Sofia. I went to Mumbai from Chennai. Rohan and I had the same flight schedule from Mumbai. We had a stopover at Dubai. We reached Sofia around 3.15 in the afternoon on 11th, as planned. 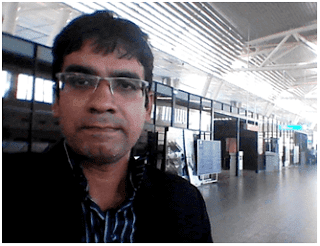 We found Jaipal at Sofia airport and also found that his luggage had not arrived! We went together to the Ramada Hotel and completed the registrations. Most of the other participants had already arrived. We had a Team Meeting and we went through the Sudoku Instruction Booklet since the Q&A session was in the evening. Rajesh was supposed to come in the same flight as Jaipal. But, unfortunately, Rajesh had missed the connecting flight. Then we tried to contact him and finally came to know that he would be landing on 12th morning. That did not happen. After a lot of confusion and waiting, we finally saw Rajesh on 12th evening. He missed part of the competition but we were much relieved to see him in person. He had missed one full day of the WSC. He did participate in the remaining events of day 2 but his name was not included in the rankings. The weather in Sofia was expected to be wet and cold (compared to Chennai). However, there were no rains and it was pleasant. The location of the Hotel was close to the City Center and near to the Rail Station. This was my first WSC since the GPs started (in 2013). The GP finals were scheduled on the 11th itself. Some of the participants would be tired as they would have reached the same day. Others came in early. I liked the overall format of the finals. There was a lot of visible tension and the visual display of the live standings for the audience added to the nervousness of the participants. I had volunteered as a proctor, and I was given the responsibility of being the proctor for Timothy Doyle. The ten finalists were as shown below. They had to finish eight sudokus – four classics and four variants. There was a staggered start for the different finalists based on their scores in the GP rounds. Kota Morinishi, who started fourth, and was fifth after the first classic, ran through the arrow Sudoku very fast, completing in a time of 2:44. He was the fastest in the next two sudokus also, ultimately maintain his lead and clinching the title easily. Timothy started sixth, but gained a lot of ground and finally finished a comfortable second. Bastien was the second participant to move to the final puzzle, but was not able to finish the last puzzle early enough. Tiit, the GP champion from 2014, was the fourth participant to start the last puzzle and pipped Bastien for the third position. Seung-Jae Kwak lost a lot of time in the XV, taking more than 9 minutes. Jakub and Vincent took a lot of time in the third classic (close to 7 minutes). Rishi, Prasanna and Fred took over 6 minutes each in the Arrow and never had a chance after that. In the end it was very close between 2nd, 3rd and 4th, and could have gone either way on a different day. I was happy that the finalist, for whom I was the proctor, did well and finished second. I had some difficulties in understanding the writing of some of the numbers, especially ‘1’, but got used to it gradually. Personally, I think the staggered start gives a lot of advantage to the top few in this kind of format. Do we need to have the same kind of format for both the GP finals as well as WSC finals? Like in other sports, once you have a final, your previous performances are not a factor. So, I would have liked to see a more even competition in the GP finals where all ten participants start together. They have all done a lot of hard work to qualify for the finals. The finish would definitely have been more exciting for the participants as also the audience. Before the start of the WSC, my target was to finish within the Top 40 as I had finished 37th (official rank) in Kraljevica in 2012, my only previous WSC appearance. Round 1 (Classics - 30 minutes): Classics is a known weak area for me. I thought if I get 50% marks in this round, I would be happy with my performance. And, although I did complete 7 out of 12 grids, in terms of points, I got a little less than 50%. The positive aspect of this round was that there were no mistakes and I got whatever I attempted for. The Sudoku Puzzles were not difficult as this was like a sprint round with 12 grids in 30 minutes. I got 150/320. An OK round. Surprisingly, only two contestants got bonus – Kota Morinishi and Vincent Bernard got 330/320. Three others –Jakub Ondroušek, Cheran Sun and Timothy Doyle - finished during the last minute and got 320/320. China is supposed to very good in classics and it was visible - the Top 17 had 5 contestants from China. 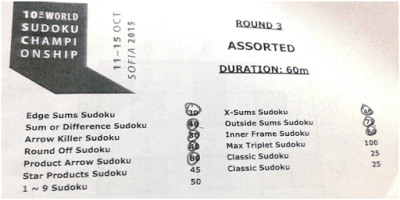 Round 2 (Assorted - 50 minutes): This round had 10 well known variants and a new one (1234 Sudoku) on offer. A total of 11 assorted grids and two classics as fillers. I was hoping to get around 300 out of the 580 points on offer (50%). However, I was very slow and could only finish five correctly, with broken attempts in some others. I took a risk with the 95-pointer (1234 Sudoku) but ended up wasting some time without getting the right breakthrough. Overall return for me was 195/580. A disappointing round. Even more surprisingly, no one got bonus in this round. So the round was indeed tough for most contestants. The top scorers were Kota Morinishi and Tiit Vunk, with 485/580 each. Round 3 (Assorted – 60 minutes): This round had 11 arithmetic based Sudoku Puzzles, with two classics as fillers. And I wanted to score the maximum points in this round as I liked the variations. My expectation was to score about 400 points. I maintained a decent pace and was able to get 395/640, with a 45-pointer almost done too. I was satisfied with my performance in this round, as I got three high pointers correct – product arrow, outside sums and inner frame – a rare occurrence. An overall happy round. Kota Morinishi finished with 6 minutes remaining and got 700/640. The next best were Bastien Vial-Jaime (580/640) and Tantan Dai (575/640). Round 4 (Straight – 30 minutes):This was a single Sudoku puzzle round and we would have numbers from A to K, as in a cards suit where A is considered as 1. I normally don’t do well in such rounds. Surprisingly, there were lots of starts available in the 13 x 13 Sudoku. About 12-13 minutes into the round I heard ‘Finished’. So someone had already finished the grid. Then,every few seconds, people kept on finishing. I felt I could complete it too. Then I got the required breakthrough where I found two regions with a tight fit and finally completed with 4.31 minutes left. It was the first round where I got a bonus. Overall 65 people finished the round correctly in the given time limit. I got 220/200, better than what I expected. A second good round, and I was in Top 40 momentarily. The top three finishers were Kota Morinishi (285/200), Will Blatt (280/200) and Tiit Vunk (275/200). Round 5 (Assorted – 80 minutes): This round had 16 assorted Sudoku Puzzles, mostly familiar ones, and 2 classics as fillers. Again, after two good rounds, I was hoping to put in a good performance in this one. I was expecting to get 450-500 points. This was the round with the highest points. But I started on a wrong footing. I got the easiest Odd-Even-Big-Small Sudoku wrong. Since there were lots of Sudoku Puzzles and I was solving with pen, I did not attempt to correct the botched ones. There was some lapse in concentration too as I do not get this many wrong normally. I attempted the 90-point Mathrax Sudoku and got it right, but probably took around 20+ minutes on it. The time was eighty minutes but it got over too fast, it seemed. In the end, I had not much to show as results - only 5 correct. Unbelievably, I got Kropki wrong and got something wrong in 3 others too. So, almost 205 points were thrown away. 285/880. It cannot get worse. Round 6 (Assorted – 50 minutes): This was the last individual round for the day. After round 5, I needed to do well in this round. I was expecting to score around 300 points. The round had ten non-conventional variations and two classics as fillers. I decided to take a high risk approach and attempted the high pointers only. There were five high-pointers in this round. I completed three and was stuck for a long time in the fourth one (Toroidal). The breakthrough never came and I finished at 190/550. Another bad round. Jakub Ondroušek(465/550), Klára Vytisková (445/550), Cheran Sun (440/550) and TiitVunk (440/550) were the top finishers. No bonus for anyone. The round was indeed tough to finish. 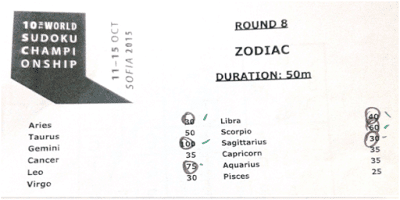 Round 8 (Zodiac – 50 minutes): This was a Zodiac theme round. 12 Sudoku Puzzles represented the 12 zodiac signs in some way. Most of them were Extra Region Sudoku and Arrow Sudoku Puzzles. I feel comfortable with Arrow Sudoku and not so comfortable with extra regions. Luckily the points for Extra Region Sudoku Puzzles were also lesser. The strategy worked for me. I expected about 300 points. In the end, I got 335/545. I was able to complete all the Sudoku Puzzles that I attempted. I missed a 6/9 Sudoku in the end. But still, not dissatisfied. Four contestants finished all Sudoku Puzzles with bonus - Kota Morinishi (625/545), Seung-Jae Kwak (625/545), Jakub Ondroušek (625/545) and Tiit Vunk (585/545). Round 9 (Multisudoku – 20 minutes): This round was supposed to have 150 points in 30 minutes, but, in the end, it was reduced to 100 points in 20 minutes since the organizers felt it was too easy for 30 minutes. Again this was a sort of round where you either get 100 or 0. After round 4, I felt a bit more confident with this kind of round. This Sudoku also had multiple starting points and was progressing well. Then we all hear ‘Finished’ before even six minutes have passed. A whopping 92 people finished the round correctly. I also finished in 15+ minutes and got some bonus. Perhaps the organizers wanted everyone to feel satisfied as this was the last individual round. Of course, those who would have been on the borderline of Top 10 would not have been too happy. I expected 100 and got 120/100. A satisfying last round. The top finishers were Jakub Ondroušek (170/100), Kota Morinishi (165/100), Seung-Jae Kwak (165/100) and Tantan Dai (165/100). Round 7 (Relay – 30 minutes): I was part of India –B team, along with Amit Sowani, Gaurav Jain and Puneet Goenka. In terms of WSC experience this team was relatively low on experience. We practised this round on 12th night. Each of us started with an Extra Region Sudoku to be followed by Irregular Sudoku and Classic Sudoku. These were to be passed as relay to the next team member. In spite of practising, we were found wanting when it came to the actual round. We could finish only 4/12 sudokus correctly. The classics were easy but in most cases we did not even reach there. We got 800/2400 points. Overall, this was a very poor round for us. Three teams completed all sudokus with bonus - Slovakia-A (2640), China-A (2520) and USA-A (2480). Round 10 (X-Killer– 30 minutes): This round was cancelled at the last minute. A similar round was held at LMI in November 2015. Most of the teams had prepared well for this round. Indian teams had also practiced this round on 12th night and were hoping to do well. Quite unfortunate. Round 11 (Fractal– 30 minutes): This was a large grid and broadly had four corners and a center part to solve. There was no best way to position the grid from a solving convenience perspective. So we decided to keep the grid on one side of the table. Two people would be comfortable solving in their natural way. I took a position where I would write upside down and Puneet was also little uncomfortable as he was solving from a side. But it was a team event and we had to adjust. The grid was very easy, we made good progress, found an error while checking, corrected the error, and finally submitted in less than 12 minutes. We got 18 minutes bonus. Overall score - 3120/2400. It is always satisfying when we do well in a team round. Three teams completed with 22 minutes bonus each- Czech Republic-A (3280), China-A (3280) and USA-A (3280). Overall 27 of the 47 teams got bonus. Overall India Team B performance: This takes into consideration all individual rounds as well as team rounds. We finished at 22nd, still better than seven ‘A’ teams. Among ‘B’ teams, we finished sixth. If we exclude the team rounds, we were 20th – this means we need to improve a lot in the team rounds. Overall India Team A performance: India-A team was 6th without the team rounds but finished 9th overall. The India A team did worse than India-B team in the team rounds. This year was a good chance to enter the Top 5, considering the team composition. Next year, the team will definitely improve from 9th position. My individual performance: I was not consistent enough. Post event, I thought I should have finished at least ten places higher in the overall results. However, in spite of not doing well, I was feeling better that I finished in the Top 50. Also I was happy that I got bonus in the two single-Sudoku rounds. Team India individual performance: Rohan would have been disappointed at missing the Top 10 playoffs. Prasanna was always in the Top 10, after a relatively slow start. He improved consistently and made it to the playoff this year. And, in the playoff, he finished 7th – a new high for individual ranking from India. Coincidentally, I have attended WSC two times and both times this record has been bettered (Rohan – 8th in 2012, and Prasanna – 7th in 2015). Kishore finished a decent 47th (officially) on debut. In the end, Rishi, Amit, Kishore and I finished very closely. Jaipal had one Top-50 performance in round 3 and Gaurav in round 9. Swaroop, Puneet, Jaipal and Gaurav would definitely have expected to perform better. Individual playoffs:Playoffs were held in three stages. 7th-10th place finishers were in the first playoff and Prasanna won this playoff comfortably. Prasanna moved into the second playoff and started with a time disadvantage. 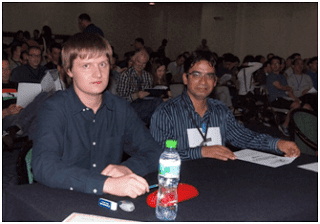 Prasanna had also reached the last puzzle but Bastien submitted correctly and won this playoff. The final playoff was won by Kota, who became the World sudoku Champion. Again the format gives a lot of advantage to the top 3 - and well deserved too. For participants in the 5-10 places it is very difficult to move to the final playoff. Overall, it was a well organized WSC. Two classics in each round was a good concept. The classics could have been used as a fallback option if we had less time left in a round, and a new grid to start. I never did get to that stage, though. The puzzle quality was good. Thanks to the puzzle creators and the organizers.